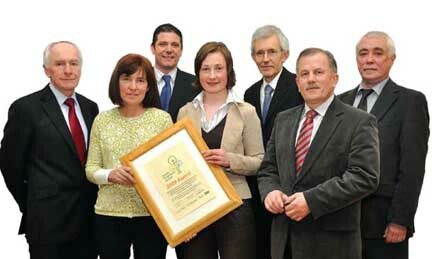 The Department of Tourism & Hospitality put together a 'Green Team' in 2008 and went on to win the Bronze Award that year, followed by the Silver Award in 2009 and the Gold Award in 2010, 2011, 2012 and 2013. The Gold Award is the target for all members as it is an award for Best Practice. The Green Hospitality Programme is the only Irish developed environmental certification standard for the hospitality sector. The award is recognised both nationally and internationally as a standard that allows members to achieve good environmental performance. Members are encouraged to promote and protect local biodiversity, buy locally where possible and encourage the use of "green" businesses and services. The award is funded by the Environmental Protection Agency under the National Waste Prevention Programme. CIT is the first third level institution to receive the award, and the Gold standard justly rewards the commitment and effort put in by everyone in the Department of Tourism and Hospitality Studies. (L-R) Adrian Gregan (Head, Department of Tourism and Hospitality ); Patricia Madden (Department of Tourism and Hospitality); James Hogan (Green Hospitality Award and Clean Technology Centre); Dr Mary Purcell (CIT Green Campus Facilitator); Dr Brendan Murphy (President, CIT); Séamus Forde (Department of Tourism and Hospitality ); and Dermot Cunningham (Director, Clean Technology Centre).